Ronnie Heath - Edwards Electronic Systems, Inc.
Ronnie began his career in electrical construction in 1987 and holds an Unlimited Electrical Contractors License. Ronnie’s background and experience include commercial, industrial and controls installation and service. 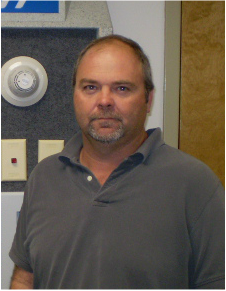 Ronnie has been employed with Edwards Electronic Systems, Inc. since 2003 and serves as our Installation Manger. His duties include acquiring permits, attending jobsite meetings, overseeing the project on an ongoing basis and insuring that the job is completed to the customer’s satisfaction.